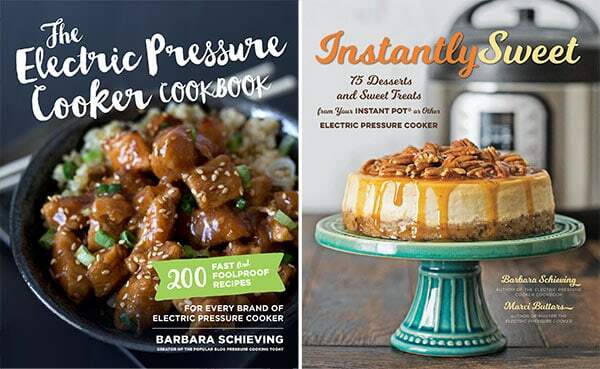 Easter pressure cooker recipes will make preparing your holiday meal quicker and easier than ever before! 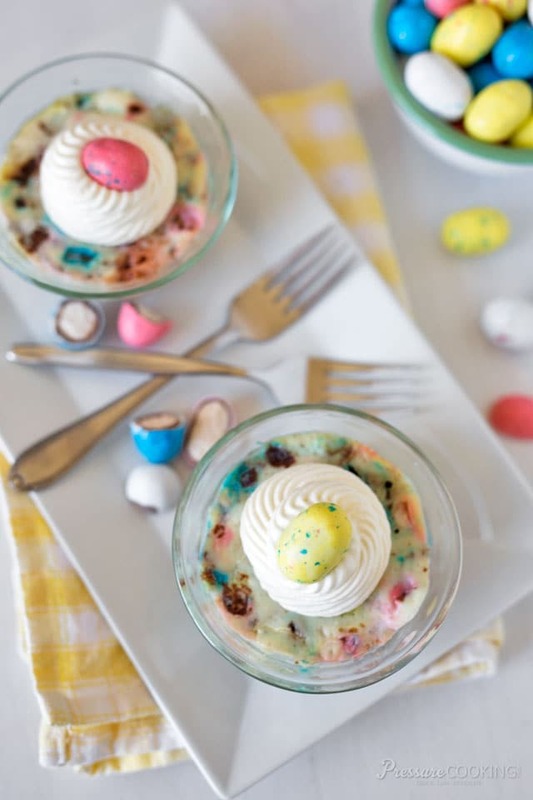 Use these delicious Instant Pot Easter recipes to impress your family and guests. 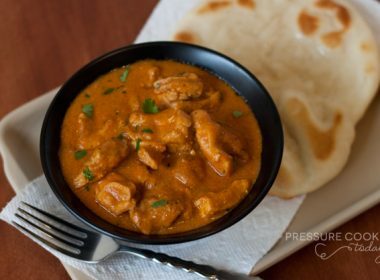 This year pull out your pressure cooker to help you make cooking for Easter, faster, easier and tastier. 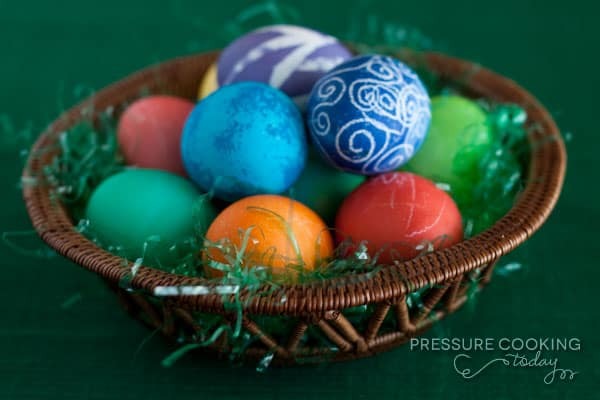 Here are our favorite Easter pressure cooker recipes! The best way to cook hard boiled eggs is in the pressure cooker. They’re easier to peel, and I get perfectly cooked eggs every time. 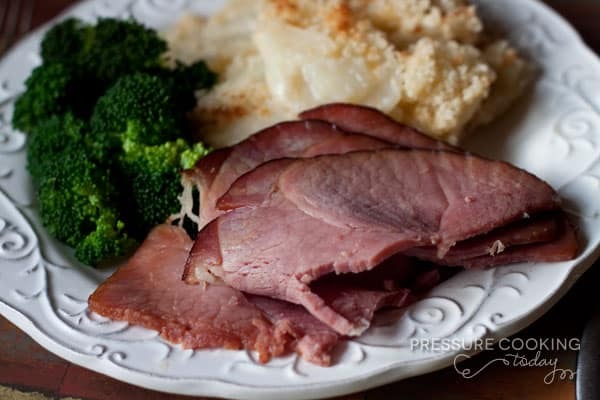 The pressure cooker is the best way to heat up your spiral sliced Easter ham without drying it out. 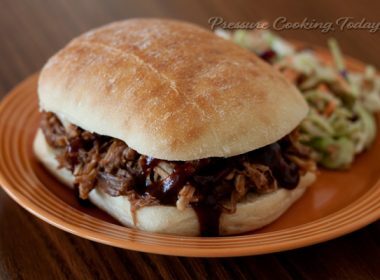 We’re crazy about Honey Baked Ham, but also love their Honey Baked Smoked Turkey Breast. I use the pressure cooker to take the chill off the ham without leaving it at room temperature for hours to warm up. 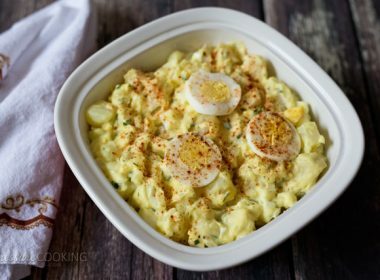 And, you’ll be amazed how much faster you can whip up a fantastic potato salad when you use the pressure cooker. 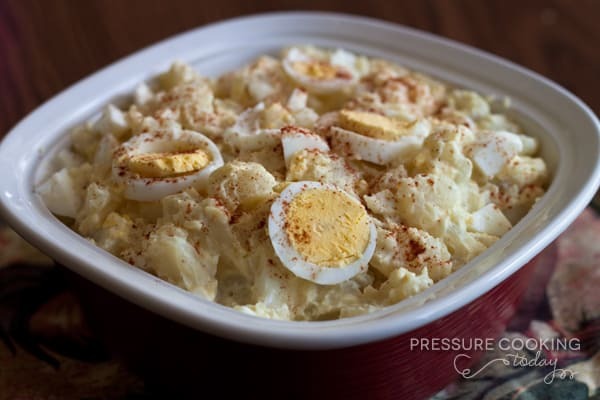 You can hard boil the eggs and cook the potatoes at the same time in the pressure cooker. 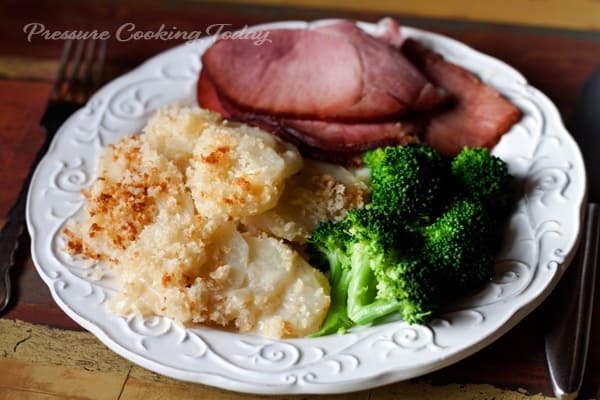 Or if you prefer hot potatoes, these Cheesy Pressure Cooker Au Gratin Potatoes are perfect with ham. For dessert, how about some fun Pressure Cooker Robin Egg Mini Cheesecakes. 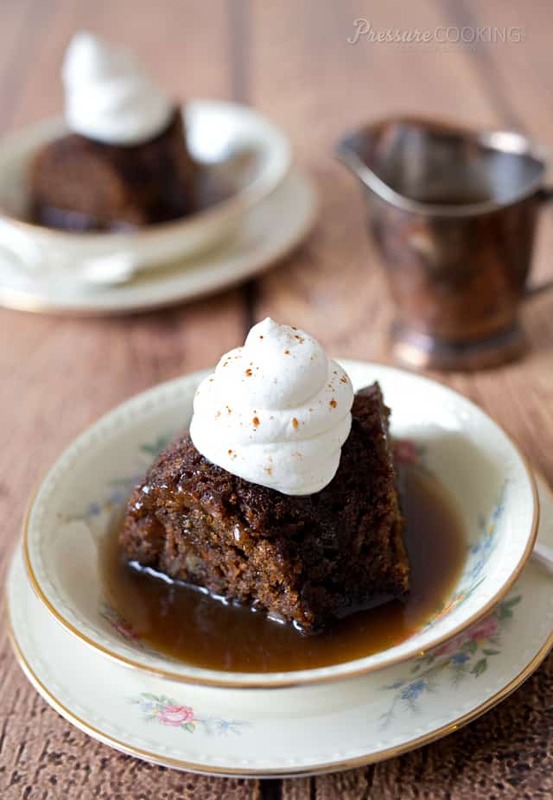 Or, maybe an old fashioned carrot pudding is more your style. 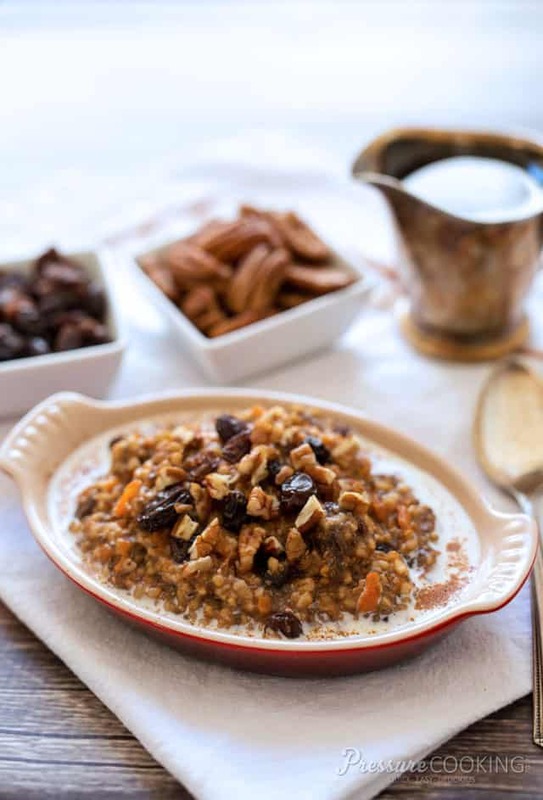 You could eve start the day with a fun, good for you Easter breakfast, Pressure Cooker Carrot Cake Oatmeal to balance out all the sweets you’ll be indulging in later in the day. 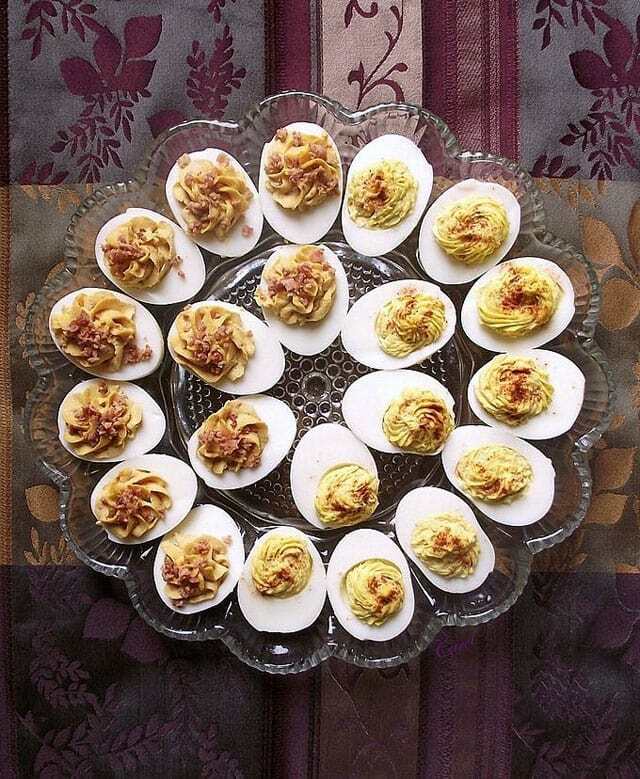 And finally, two deviled egg recipes that are a tasty way to use up those leftover colored eggs. Happy Easter! However you’re celebrating, I hope you have a wonderful day filled with people and foods you love. 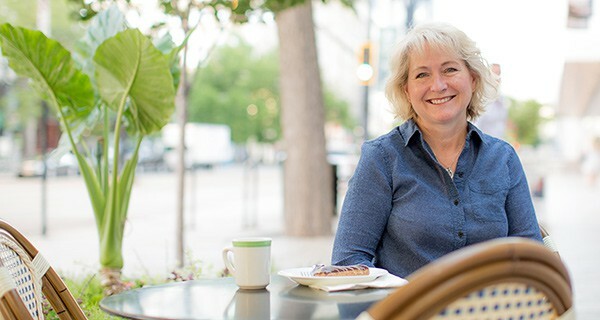 Jeannie – I used my steamer basket for boiling eggs. When done 6 min 6 MR after burning my fingers trying to get them to the ice water, I got smart and dumped them in – you want to crack them anyway before peeling. Works wonders. Hi Jean – definitely don’t want burnt fingers. Sometimes I plunge the whole basket in the cold water. How disappointing! I need a good lamb leg leg recipe. 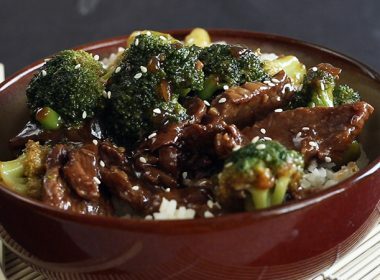 Julia Child didn’t cook hers in a pressure cooker, but she marinated her lamb in mild oil, fresh lemon juice, soy sauce and rosemary. We take the roast apart, remove all the fat from the meat, marinate for a couple of days and cook the lamb on the grill. I’ve been doing this for 40 years and even lamb haters love Julia’s lamb. Love the silicone cup idea – I’ve always set my eggs in and around small canning jar bands, which works great but the silicone cups would have more “give” to them and you can stack them up for storage. Thanks for the new idea! I was skeptical until I tried it… now I’m a believer… They peeled so easy! 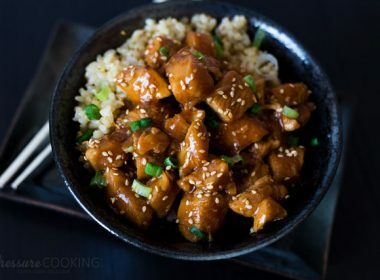 I had one out of the 9 cracked… This will be how I cook them from now on. Amazing! The eggs are gorgeous.